DarwiinRemoteOSC allows to connect via Bluetooth to the WiiRemote controller. It also supports Nunchuk, Classic Controller and Balance Board. 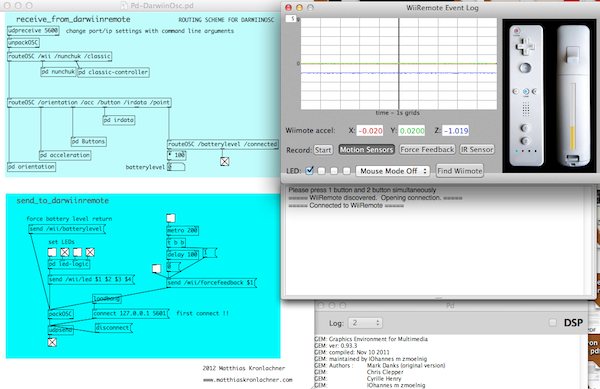 All data from the Wii Controller is forwarded via OSC. IP and Port can be changed by command line argument. OSC can be sent to DarwiinRemoteOSC to turn on Force Feedback, LEDs and retrieve Battery status.